For the second time this week, I was encouraged by someone to write again. So world … here I am! I never know if anyone is reading these posts, which is why I think I stopped writing. I thought maybe it wasn’t making a difference. If you’re reading this, a very special HELLO to you! And THANK YOU for reading! It really means a lot to me. Truly. However, today during a coaching session, I learned that I’m writing here as much for myself as I am for anyone that may be reading this blog. Writing is a wonderful experience for me. I love doing it. I can express myself ten times better by writing than I can by speaking a word! So why don’t I write more often? Great question! And it has a simple answer. Fear. Fear is a universal feeling that each of us has experienced from time to time. For me, it’s a daily thing. I’m not talking about fear for my life, adrenaline-pumping kind of fear. Just the kind that keeps me from forward motion and from moving toward my dreams. The fear that keeps me stuck. 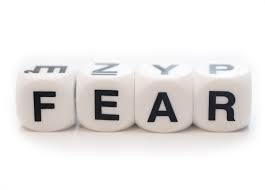 Let’s face it, FEAR is a four-letter word. A dreaded, in your face, four-letter word. I titled this post Suit of Armor because I want to talk about my suit and how fear is keeping me locked up in such a suit. The Oxford English Dictionary defines a suit of armor as: The metal coverings formerly worn by soldiers or warriors to protect the body in battle. You can visualize such suits, right? They were worn by very gallant men galloping off into battles during Medieval times in my visualization. However, my suit of armor looks much different. In fact, it’s not something I actually put on my body each day to protect myself. My suit of armor is part of my body, a part of me, in fact. My suit is my excess weight. Let me tell you, it’s no easy task to admit this factoid out loud to the unknown world, in a blog post. It’s me revealing a part of myself to you. A very secret fact I have kept to myself until today when I blurted the words out during the coaching session. Yes, I know I’m fat/overweight/plump (insert your own adjective here, if you want). I’m very painstakingly aware of it. And guess what … in some way something I have added this protective suite to my body, on purpose, to protect me. Yes! Protect me! You may be thinking, how in the world could fat protect you? That answer is easy. It protects me from people. From finding love in my life. From having my dream career. It protects me from me. Weird, huh? Yeah, maybe a bit weird, but it has worked for me for the past 10 years – the time period where I have put on the bulk of my armor. You know what? A suit of armor does start to weigh on you after a while. You want to take it off and let your body breathe. You want to rest. That is what is happening for me. I want to take off this excess weight I have so carefully added to my body. I want to be among people. I want to find love in my life. I want to be free of the armor! I imagine we all have our own suits of armor. For some it could be smoking or drinking, for others it could be something else. I know I’m not alone here, but it does feel that way sometimes. Almost all the time, in fact. I’m working (once again) toward making some wonderful changes in my life and I’m looking forward to them. I hope this is the year I’m able to start shedding my suit of armor. How about you? Let’s do it! 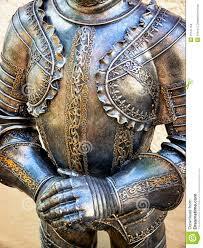 Let’s wipe the slate clean and get rid of these suits of armor once and for all! Until next time, let’s kick FEAR in the face!